workout harder, longer, and recover from your workout faster. ZIP-100 is a strain of highly nutritious Spirulina. 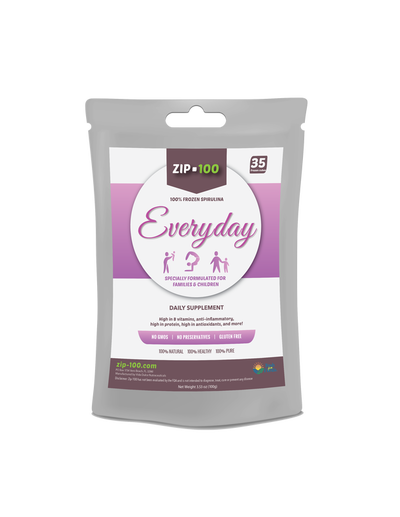 Athletes and health-seekers are finding Zip-100 helps them in every area of life. STEP 1: Store Zip-100 in the freezer. Zip-100 is a natural way to keep you healthy! Zip-100 helps me recover from days of intense gardening. I am just less sore. I recover quicker after my workouts. ZIP-100 is fresh frozen spirulina... nothing else. Spirulina is a microalgae that has been eaten by ancients for thousands of years and is considered both a superfood and a functional food. Our Spirulina is grown using the highest grade ingredients possible and our source water is a Floridian artesian spring; waters possibly associated with Ponce de Leon’s purported fountain of youth. 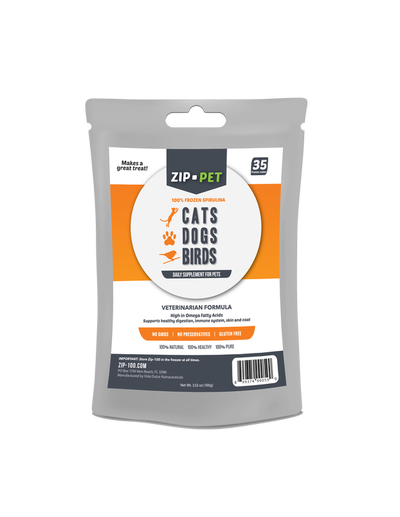 Quality is paramount to us, which is why ZIP-100 is routinely tested for purity.